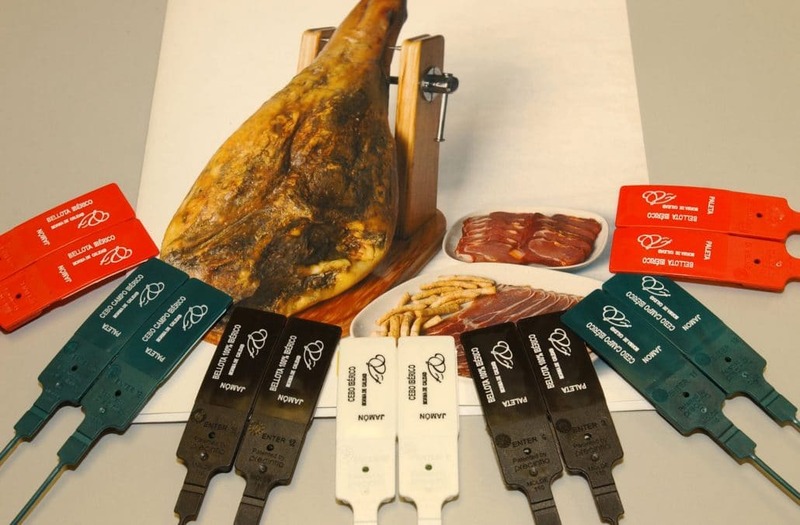 The Spanish Council of Ministries has approved the quality regulation for the meat, ham, shoulder and loin prok which offers more information to the customer in the labelling thanks to its sales description and the statement of the racial percentage. The minister of Agriculture, Miguel Arias Cañete, has stated that it is a flagship of the Spanish gastronomy, a unique and exclusive product that only Portugal shares with Spain. It has been pointed out that there will be now three sales descriptions: ‘de bellota (acorn-fed)‘, ‘de cebo de campo (free-range, cereals-fed)’, and ‘de cebo (cereals-fed)’. Compared to the last designations (de bellota o montanera, de recebo, de cebo de campo y de cebo), the ‘de recebo’ designation will no longer be used. It will be compulsory to establish the purity of the Iberian race on the labelling when dealing with 100% Imberian animals. Mistakable terms should be avoided. This way names, logos, images, symbols or mentions that has to do with acorn-fed or meadow pork will only be used for ‘de bellota’ designations. Particularly, ‘pata negra‘ can only be used for those products which are 100% Iberian. There will be a minimum weight for the elaborated pieces when released from the industry to avoid marketing with small products that do not reach the minimum quality standards of the consumers. The Government defends that this new regulation boost the Iberian race preservation and the productive system developed around the meadow. It also believes that, by doing this, the Iberian purity level will not be lost, there will be a balance between the capacity of the meadows and the livestock density, and there will be improvents in the certificaction control and the accomplishment of the age and slaughtering weight criteria. Regarding the authorised races, the studbook‘s certification will be the only way tocredit the racial purity, which will contribute to preserve the Iberian purity. For the mast pigs, the regulation adapts the livestock density to the productive capacity of the meadows, establishing a number of pigs per hectare of the meadows depending on the forested area (betweeen 0,25 and 1,25 pigs(ha). The regulation also approaches the premises, demanding a bigger minimum area for the breeding of animals in feedlots (2m² minimum for animals weighting more than 110 kg). By approving all these novelties, the Spanish Executive answers the farmer organizations demands, which were asking for an urgent intervention that would correct the sector path and would open new development and sustainability possibilities in the upcoming years. The Royal Decree-law will come into law right after its publishment regulating slaughtered animals after that date. Nonetheless, some transitory periods have been settled to allow the sector to have a progressive adaptation on races, premises and products in progress. The Government has also approved the draft bill on the Farm Sector Representation law and the creation of the Farming Assistant Council, composed by ten councils appointed by the minister of Agriculture, which will be the president of it himself. The appointments will be done according to the proposals of the most representative professional organisations, following the reults of a ballot that will take place every five years. Arias Cañeta, the minister of Agriculture, has highlighted that this vote will be open to not only the trade unions but to legal entities, as enterprises whose activity is the agrocrop production. The Farming Assistant Council will inform about the regulative projects regarding agriculture and development, and also the regional and statal agrarian policy measures and the evolution of the social and economic situation of the agrarian sector. It will also provide some advice on how to adopt the measures considered necessaries to improve the quality of the Spanish countryside lifestyle.